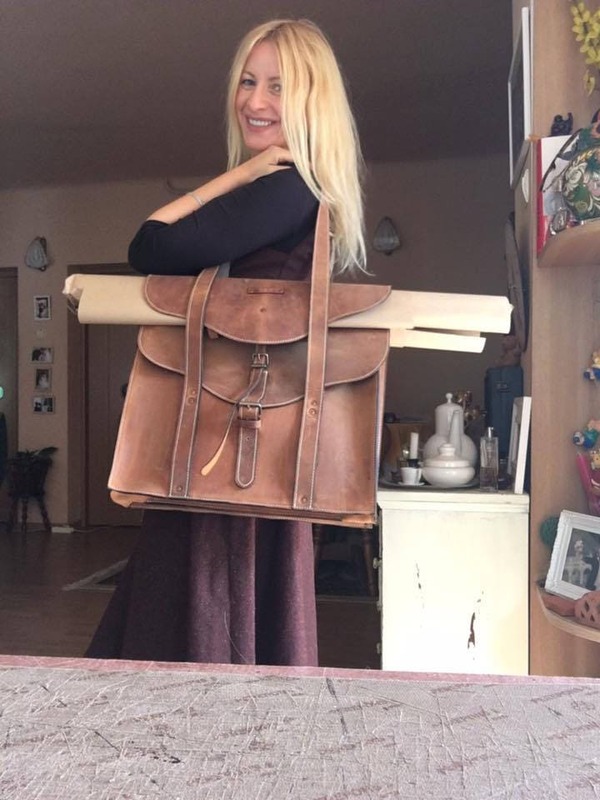 This gorgeous bag is a special design concept based on Anne - Architect and Landscape Designer - a business woman, always on the run, caring plans, drawings, laptop, agenda and many other misc things. 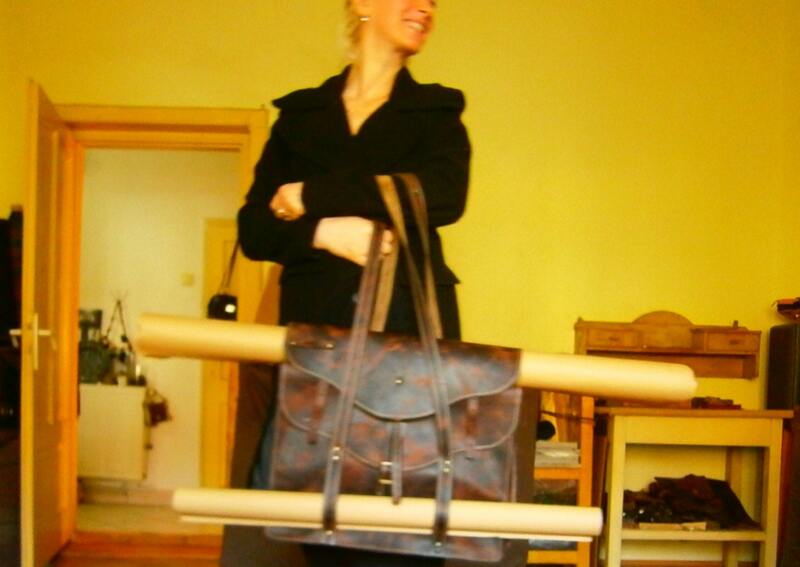 The challenge was to be able to carry her drawings in her bag but separately somehow in the same time. In this was this design cocept was born, as an aswer for her real needs. And now she can carry all her stuff, and 3-4 plans or drawings covered with a distinct flap and catched separately with little belts and buckles. When she just wants to take out an apple from her bag she just opens up the main flap and that's it! This bag can be carried on your shoulder, the height of the shoulder belts are properly to fit in there perfectly the plan rolls. 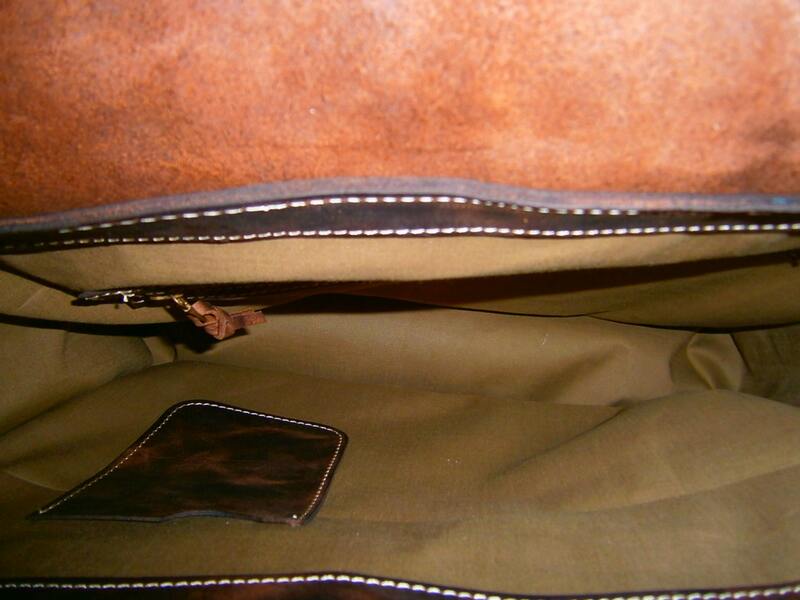 It has cotton fabric inside in brown colour, zippered pocket, and leather pockets. 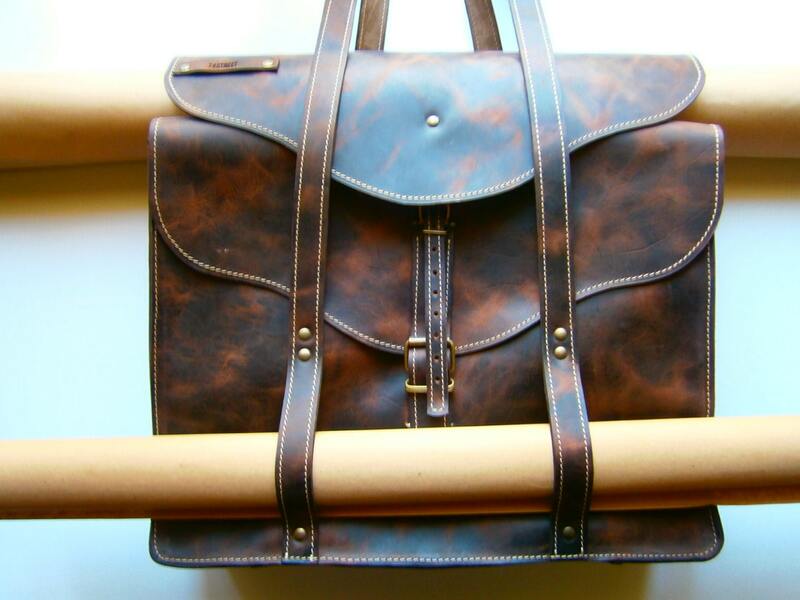 This is a perfect bag if you are an artist, an engineer, a designer, an architect. 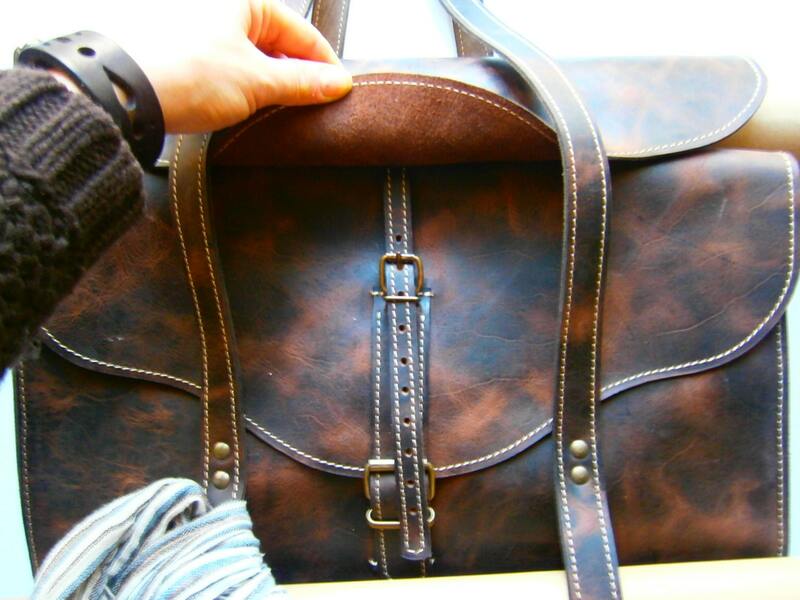 It's catchy, useful and the most important: a life time bag. 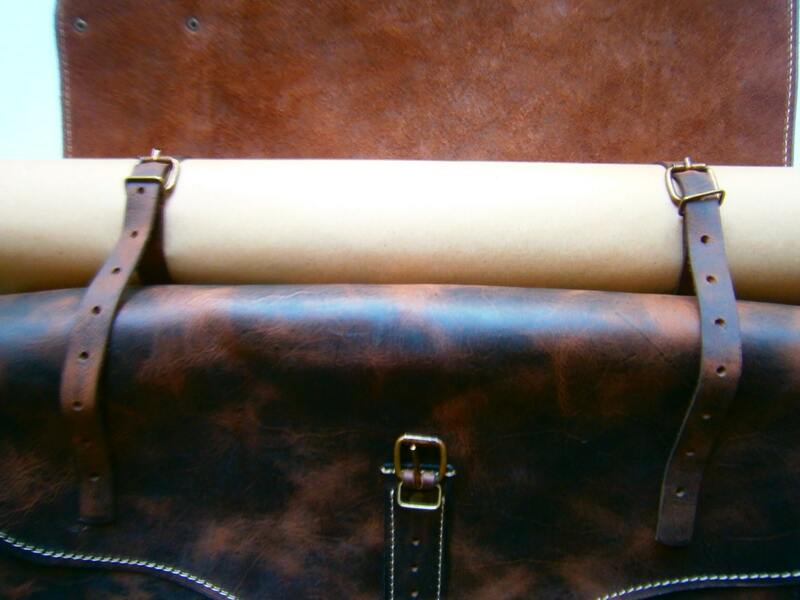 I had this product of outstanding craftsmanship customized to order with 2 main compartments. My large 16 inch work computer fits comfortably in either with ample space for my personal 13 inch Razer in the other. I appreciate that all the details are full grain leather without fabric interior liner to be torn up by heavy use. The length of the tote's shoulder straps are perfect-hanging comfortably from my shoulder with good balance, not too long-which is important when loaded. 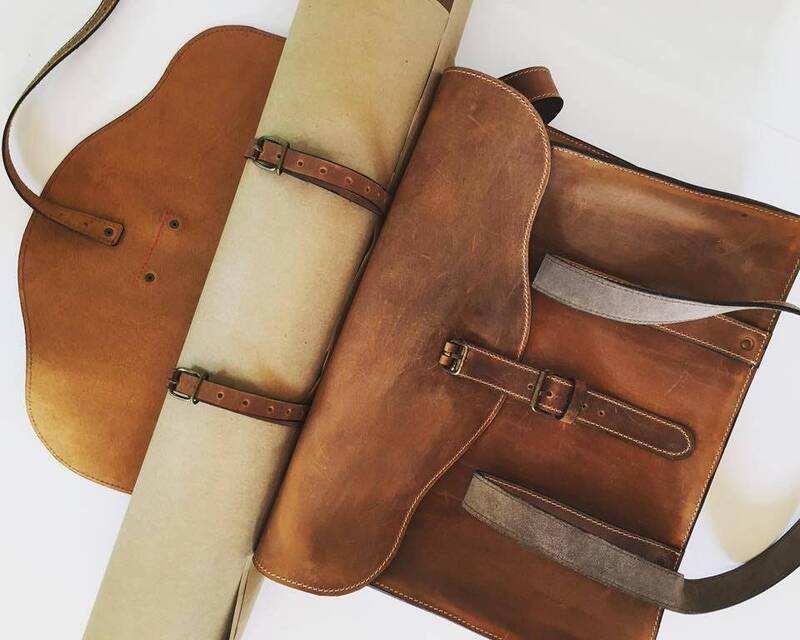 The leather is supple, pliant and expertly cured, no evidence of dry, old or improperly stored skins. Daciana is attentive and happily made adjustments as asked for. Shipping to So.Cal from Romania was about 11 business days and tracking wasn't reliable. Hard to be patient...but well worth the wait! Gorgeous work. Love. Leather. Lifetime!